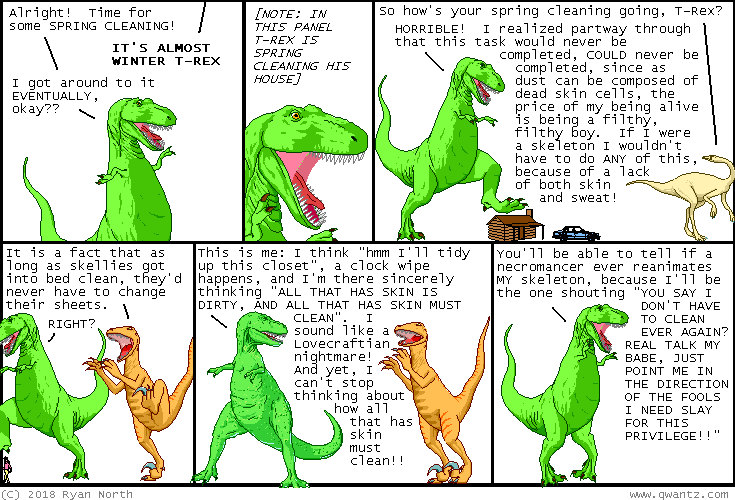 Dinosaur Comics - December 7th, 2018 - awesome fun times! –ALRIGHT, who here wants to GET STRONG?? December 7th, 2018: TIME TRAVEL BANDANAS HAVE ARRIVED! !